There are 3 leagues that play on specific days. Your team would play one match per week. A match is made up of 3 games to 7 points. We can accommodate up to 16 teams per league. League spots are in high demand, so get your team on the waiting list early. 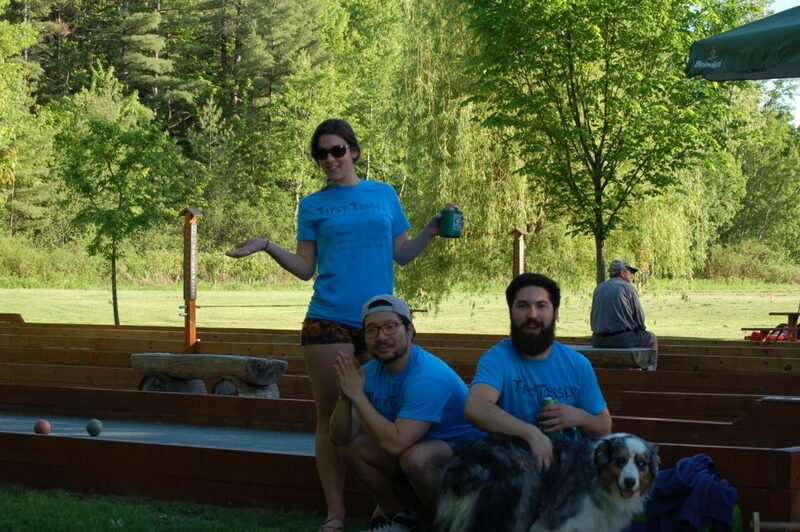 The fee for the Burlington Bocce Club Doubles League is $40 for a team. The fees go towards medals, court maintenance, equipment, and the end of season picnic. 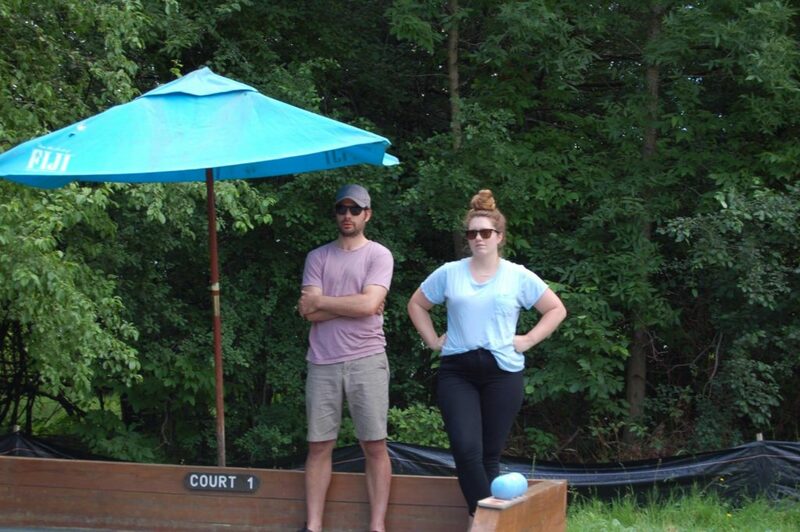 Only those with current Bocce Club Memberships may play in a league. Team Registrations due by May 19th, and the season runs into September. Register by filling out the Doubles League registration form and mail it with payment to Julia Ely (BBC), 322 Bay Rd, Shelburne, VT 05482 or email Julia (julia@burlingtonbocce.com your intentions and hand deliver fee and registration at the courts. Discounted Parks and Rec Parking passes are available to league members. Ask for details. The winning team is responsible for emailing their club director (info above) and telling them the results within 24 hours. “Hi Jeff, the Ballerz beat the Unicorns 2 matches to 1.” Done. Return equipment/broom and make sure they are secured before leaving. We will provide you with contact list with phone numbers and emails for all teams. This list will be updated a few times throughout the year. Please look them over for accuracy and let me know if there is any confusion. The BBC allows doubles teams to add players to their roster for up to one month after the start date. 2018 Deadline is July 1st. Teammates must be club members to be added. Matches are three games long, each played to seven points. League standings will be based on match wins (best 2 out of 3). End of season tie break will be determined by most game wins, and then head to head record. The winning team is responsible for sending the match results to the league director, Jeff/Charlie (info above). If you don’t send your results, you will not get credit for your win. League directors will compile the match results and keep updated standings. Standings are emailed out weekly. They are also posted at the courts on the back side of the bocce sign. Check them for accuracy when you see them. Official BBC rules will be followed. The rules are posted at the courts and the website. Teams can be between two and five players. One substitution is permitted during a game, but it must be between frames. Only two players play at one time per team. Substitute as you wish between games. If you are unable to make your scheduled match, use the league contact sheet to notify your opponent a MINIMUM of 1 hour before the match. Don’t assume your match is canceled due to rain, always confirm. If you reschedule, be sure to use the Chartley to let other teams know if your court will be available. Make-up slots are valuable. Three no-shows will result in a forfeit of your season. Reschedules do not count as no-shows. Only 1 player on hand is a forfeit. The League Schedule will be determined late in May and is based on the number of teams entering the league. Play is generally limited to one or two matches per week. PARKING PASS WITH BOCCE CLUB DISCOUNT – $30! Parking passes are for sale at the Parks and Rec building on Pine Street. Tell them you are in the Bocce League and receive your discount. Passes are good for Oakledge, Leddy, and North Beach. Kickball plays at Oakledge Mondays and Thursdays at 6:30. Try to arrive before them. The top three place teams at the end of the season will be awarded Bocce Medals. Their names will also be permanently engraved on the champion plaques courtside. 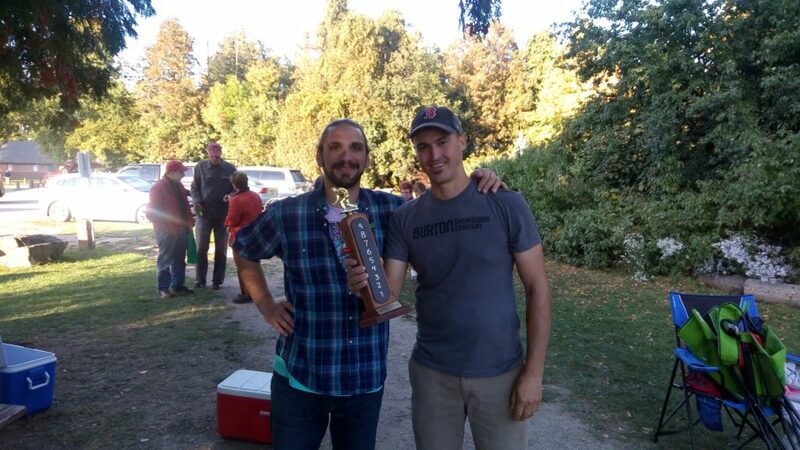 A tournament with the champions of both leagues will be held during a year end BBQ. All league members should attend.